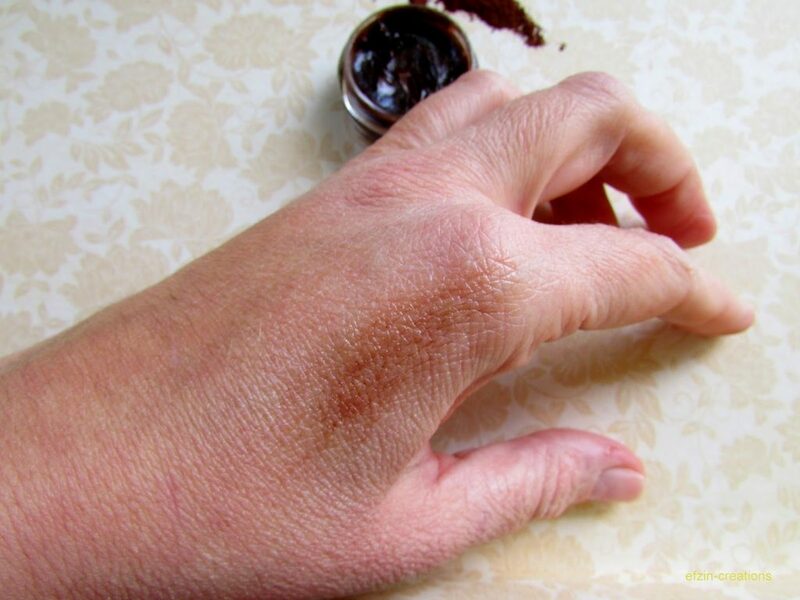 Winter is just the perfect season to take care of yourself because of the cold…yes you know what I mean…dried hands, nails that can break really easy, dried lips and skin of course. That’s why having a lip gloss is a must since it protects your lips and of course make us more beautiful! 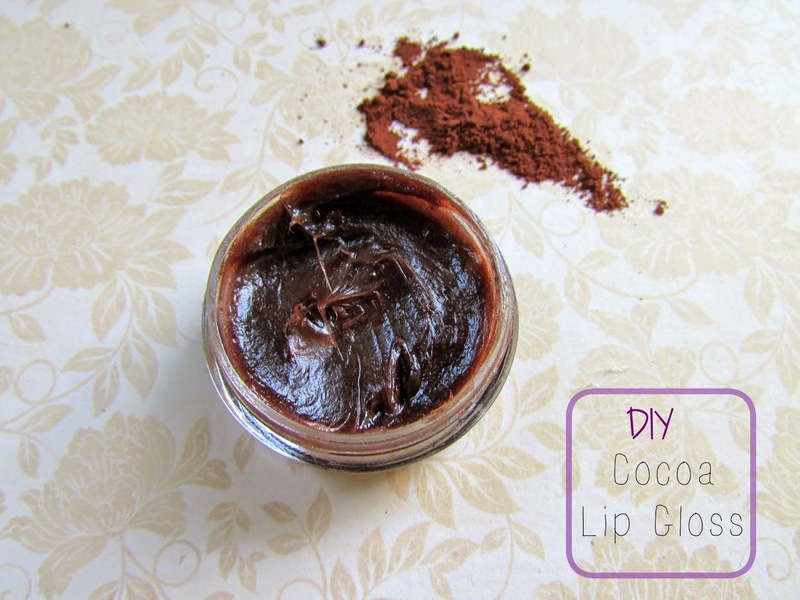 So now is the time to create your own lip gloss in less than five minutes and with three only materials! 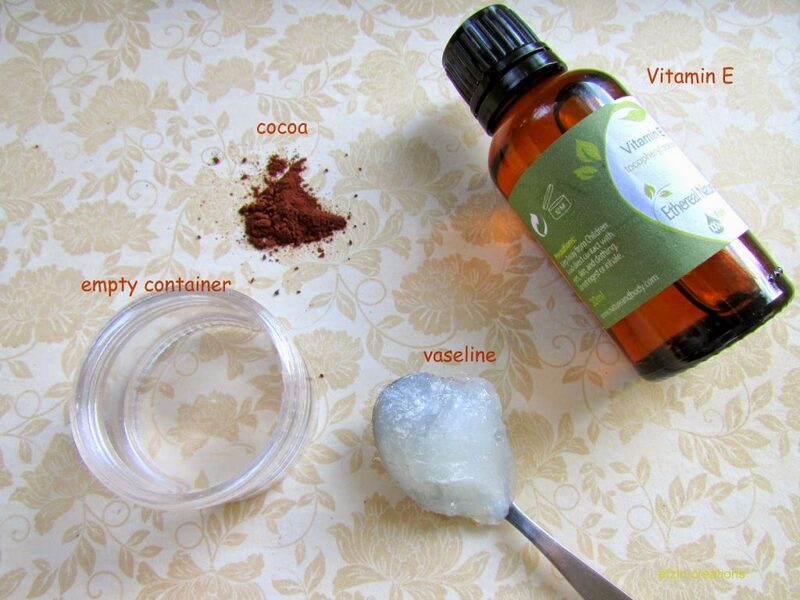 – In a ceramic bowl suitable for microwave put the Vaseline and a drop of Vitamin E. Heat it for 30sec in the microwave. The mixture is hot enough to start mixing it. 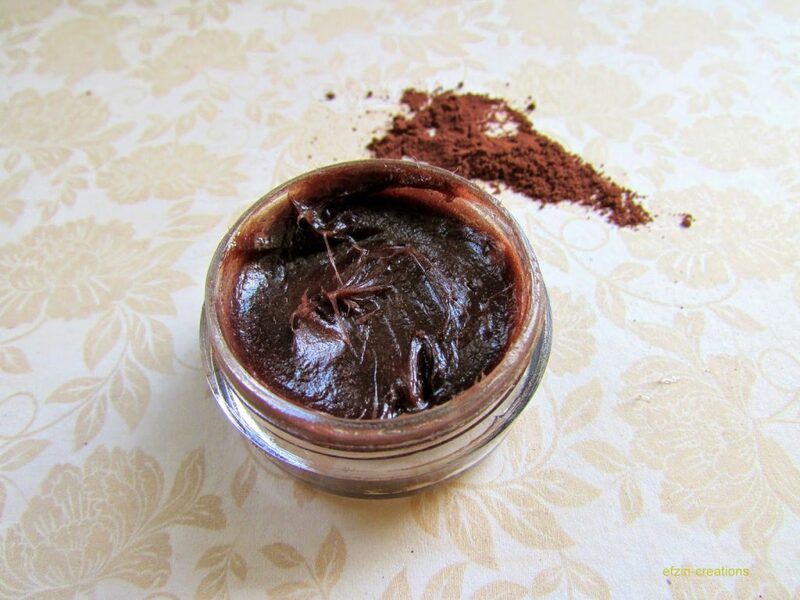 – Put on the top of the mixture the cocoa powder and keep mixing it. – Fill the empty container. Lip Gloss is ready to be used! 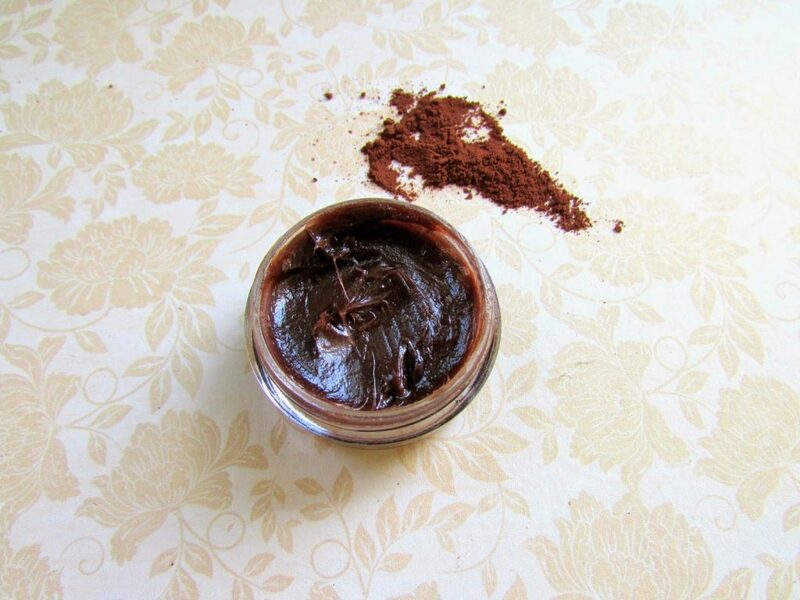 As you have noticed I cannot tell you how much cocoa you will add because that depends from how light or dark you want your brown lip gloss. Even my lip gloss seems to be dark enough, actually it is just perfect for me not only for my night exodus but also for my everyday office outfit. Additionally the Vitamin E is not necessary but it will make your lips smoothie and it will extend the lifetime of your gloss. So Happy Crafting and enjoy the cocoa aroma!!! !